Two Men And A Truck are an enormous corporation in the United States and now they've landed here in the UK. 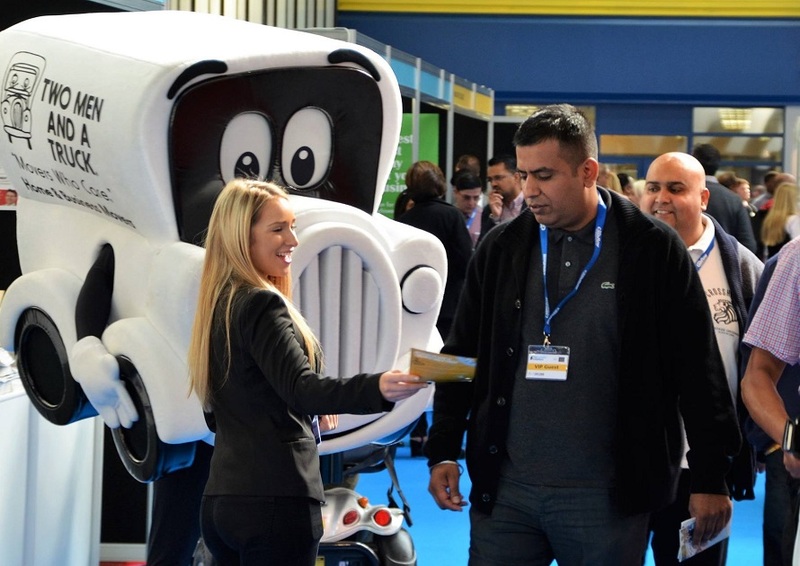 Our clients, a marketing agent for the company required a special team of multi talented promotional staff to assist with getting the word out about their franchise opportunity at various exhibitions. We supplied 2 costume characters and 2 promotional staff to several exhibitions. YET promotional staff were fantastic. Good feedback not only from our client but from other exhibitors at the show.